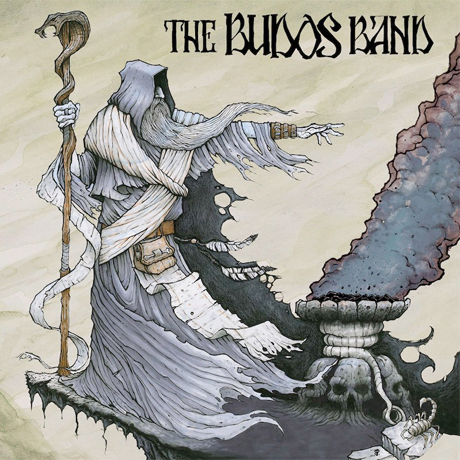 To date, funky instrumental soul combo the Budos Band have released three numerically titled albums, but they will be switching things up for the impending fourth LP. Burnt Offering will be out on October 21 through Daptone Records. The title isn't the only big change for the Budos Band; while the past three records were co-produced by Daptone's own Gabriel Roth, they opted not to work with an outsider producer this time around. "This isn't The Budos Band IV," said drummer Brian Profilio in a statement. "This isn't just more of the same." The new recordings are apparently more heavy and psychedelic than past releases. They were assembled from more than two dozen songs, 15 of which were recorded and only 10 of which made the final cut. The songs were recorded live to tape with minimal effects. Scroll past the tracklist below to hear the groove-centric, horn-blasted cut "The Sticks." Also below, see the Budos Band's tour schedule. It includes a number of U.S. gigs, plus a Canadian appearance in Victoria on July 27. This record is the follow-up to 2010's The Budos Band III.